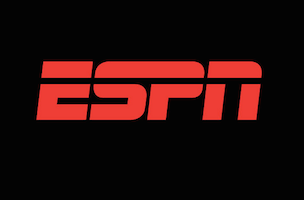 ESPN is combining Grantland, ESPN Films and FiveThirtyEight into one new content group titled Exit 31. The name is reference to the exit off of I-84 which leads to ESPN’s headquarters in Bristol, Connecticut. Exit 31 will essentially use the resources available to Grantland, ESPN Films and FiveThirtyEight to create a wide variety of content. Initial projects include FiveThirtyEight Films — which will produce short and long length videos featuring data analytics — and a new franchise for the 30 for 30 documentary series, 30 for 30 Soccer Stories. The Exit 31 group will be led by Marie Donoghue, ESPN’s senior VP, global strategy, business development and business affairs. Nate Silver (editor-in-chief, FiveThirtyEight); Connor Schell (VP, ESPN Films); David Cho (senior director, strategy and business development, Grantland and FiveThirtyEight); and Bill Simmons (editor-in-chief, Grantland) will all report to Donoghue.